Homepage » MOROCCO: Casablanca, future smart city? MOROCCO: Casablanca, future smart city? As the economic capital of Morocco prepares to host the 3rd edition of the Smart Expo, from 18 to 20 April 2018, many experts express their confidence in the local authorities, after the launch of 70 projects to digitalise services in the city of Casablanca. 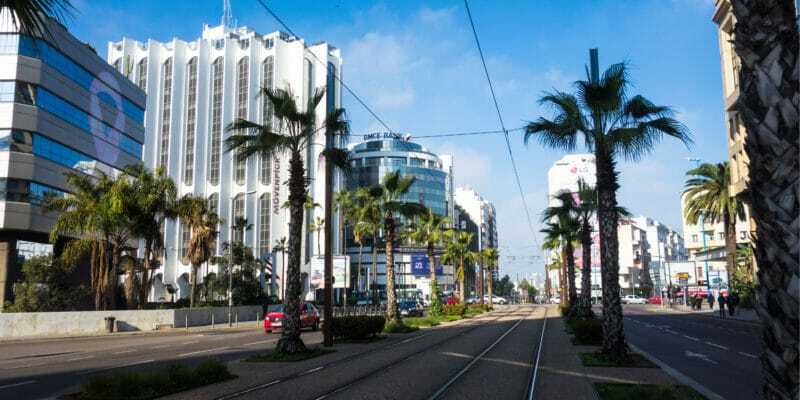 The city of Casablanca has decided to invest 94 million dirhams (more than 8 million euros) in the digitisation of its services, whose horizon is 2022. This budget will fund seventy projects, four of which are currently being launched. These include the creation of a tax information system, the development of a geographic information system (GIS), the dematerialisation of legalisation services and the acquisition of a CRM (Citizenship Relation Management) tool. According to La vie éco, a Moroccan business magazine, these projects, which will be implemented in four years, will follow the Digital Transformation Master Plan (DTMP). It is a roadmap that was validated by the Casablanca City Council held last February, based on a feasibility study carried out two years ago by the local development company Casa Prestation in partnership with two firms specialised in digital (smart) cities. According to Casa Prestation, the future smart city of Casablanca will “take into account the different stakeholders of the city by strengthening their relations”. To succeed in its ambition to be a true smart city, Casablanca wants to focus on the digitalisation of its services. Thus, from mobility services to environmental services, administration and services of general interest, everything will be digitised. The traceability of the city’s governance system will also be improved. To improve access to information in the city, the municipality plans to create a platform called “Casa Urban Data”, which will allow the grouping and sharing of data between local administrations and citizens: for example statistics that will be modified on an ad hoc basis. This information will also concern mobility services such as tramways and buses. For a better development of the future smart city of Casablanca, the municipality counts on start-ups like Nextronix which proposes an innovative solution for the video assisted driving of trams. Another start-up, already working on the project, is called Lightinno. It wants to monitor in real time, through its platform, the electricity consumption in the new buildings that will come out of the ground. In the same context, the start-up Nour.ma is working on a carpooling solution that will work with social networks. A total of seven start-ups like these were selected on July 13, 2017 at the Datacity event, the Open Innovation programme organised by Numa Casablanca, which aims to make Casablanca “intelligent” by 2022. These start-ups are currently supported by major companies: Lafarge Holcim Maroc, RTP Dev, Inwi and Michelin.